Pitching Drills To Make You "King of the Bump"
My son, who pitched in college, said there is a huge adrenaline rush being on the bump (pitching mound). He said until the ball is hit, it is you against the batter. It’s a one on one match up in a team sport. And you better believe the hitters are practicing, so it is a smart decision on your part to check out some new drills. He also said it did not matter whether he was the starting pitcher or coming in for a save, his heart would really be pumping. 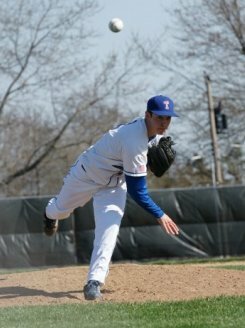 There were pitchers on his college team who would only get a few appearances each spring, but that was enough to keep them working hard all through the winter. Maybe you have been a pitcher for a while, or you are just starting out. And maybe you just became a PO (pitcher only) and now have time for some more drills. In any case we have some great drills and tips for you. Be sure and check out the following great drills. Before you can run you have to learn how to walk. Before you can pitch, you have to know how to throw properly. Our baseball throwing drills will get your throwing mechanics lined out. There are four great throwing drills on the page. The first one is good for beginners and the next three are more advanced. They can be done on an individual level, or as a team. Do you wonder what kind of drills a young pitcher should be doing? We have got the answer to that and other Little League Pitching questions. And we have some great tips for anyone learning to pitch. Forget the websites that have tons of worthless pitching drills. We only show you the baseball pitching drills that help to improve your performance. Don't get lost in a countless maze of drills. Here are some baseball pitching tips that are little known and seldom talked about. Learn these tips and gain a big advantage in close games. When should you seek baseball pitching instruction? We answer that question and give you lots of other helpful pitching instructions. 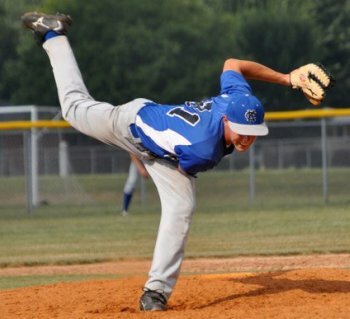 Baseball pitching can lead to a college baseball scholarship. Just be sure to follow these guidelines and your pitching career should soar. Continued From Above: There is a price to pay for wanting that huge adrenalin rush. You must take good care of your throwing arm and shoulder. As I’m sure you are well aware, pitchers have a tenancy to have arm injuries. But there are drills and exercises that you can do that will greatly reduce your risk for injury. Since this is a big topic for pitchers, I’m going to jump into it in a big way right now. Running is probably the most important exercise/drill to help take care of your arm. My past experience has led me to believe that every pitcher should run within 24 hours (the sooner the better) after having pitched. The pitchers I have worked with have always had good success with this strategy. But I want to be very open and up front about this topic, because you are going to hear and be told many different things. And after doing some research on pitcher training, I even found many doctors who are miles apart on their opinions. Have you ever watched the College World Series? If you have then no doubt you have seen the starting pitcher of a team come out of the game and have his arm wrapped in ice. There is one school of thought, doctors included, that the most important thing you can do for arm recovery is ice the arm. Then there are many people, doctors included, who say that is not a good thing to ice your arm. Old school baseball says run the poles when you are done with your turn on the mound. Running the poles means running from one foul pole line, around the warning track, over to the other foul pole line. In the pros they jump on an exercise bike. Same difference. 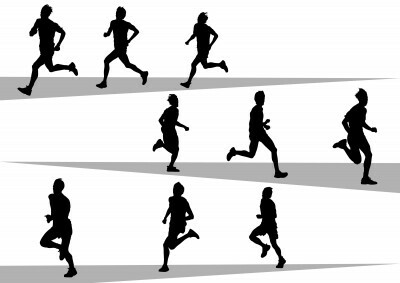 The standard amount of running (jogging) seems to be between 30 and 45 minutes. And new school baseball says you should run, but it should be wind sprints. The theory is wind sprints not only help the arm recover from pitching, but also is better conditioning for your legs. The typical recommended amount of exercise here is between 15 and 20 sprints. The distance of the sprints should be about 30 yards. Then there are the coaches or trainers who say do a combination of icing and running. They suggest icing right after the game, and then running later in the day, or the next day. So, what do the pros do? With major league baseball teams paying pitchers millions of dollars, they must have the answer to this problem and demand their pitchers follow that program. Nope. There are just as many theories in pro baseball as there are in little league pitching. Again, there is no clear cut solution. Like I said above, the teams that I have been around that did some type of running all seemed to have fewer sore arms. My experience has been so dramatic, that I really have pushed my sons to run after pitching. And it seems to have kept them from have arm injuries or sore arms. Here is the bottom line. Each pitcher needs to find their recovery system after having pitched in a game. After throwing any where from 60 to 120 pitches the arm needs some type of treatment to help it recover. This might be just rest, or icing, or running. But you are going to have to find what works for you. There is no fun involved with a sore arm. OK, I have really rattled on about this, but with good reason. Pitching puts a great deal of strain on your body and how you perform depends a great deal on how you take care of yourself. Please take a look at our other articles on pitching drills. We have some great tips and also a great discussion about pitch counts.